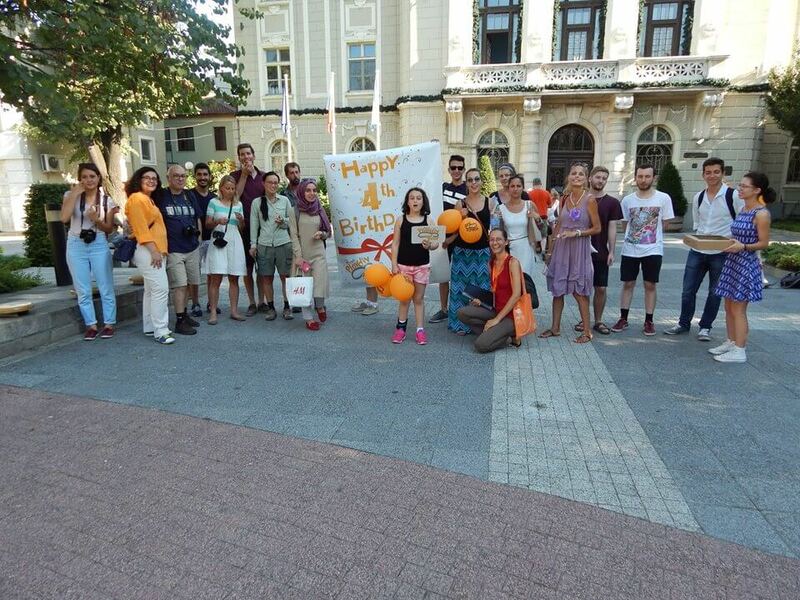 As everybody should already know by now, Free Plovdiv Tour changed its route with the start of this year. Instead of at the post office, our starting point is now at the Municipality building, as explained in our original blog post about this. One of the coolest things about the new route is that we get to show our guests some little-known (even for people born and raised in Plovdiv!) places and facts about our city. For example, if you come on a tour now, we will show you some parts of the old town which are more hidden and easy to miss. Some of the pictures here, like the one below, show such places. Thanks to Eneritz Galeron for all the wonderful pictures.